Pakistan’s Interior Ministry says authorities have arrested dozens of suspects, including the brother of the leader of the outlawed Jaish-e-Mohammad group that India has blamed for the Feb. 14 suicide bombing in Indian Kashmir that killed 40 troops. That bombing last month triggered a dangerous escalation that last week pushed Pakistan and India close to an all-out war over Kashmir. In Tuesday’s statement, the ministry says 44 suspects were arrested, including prominent members of the outlawed militant group. 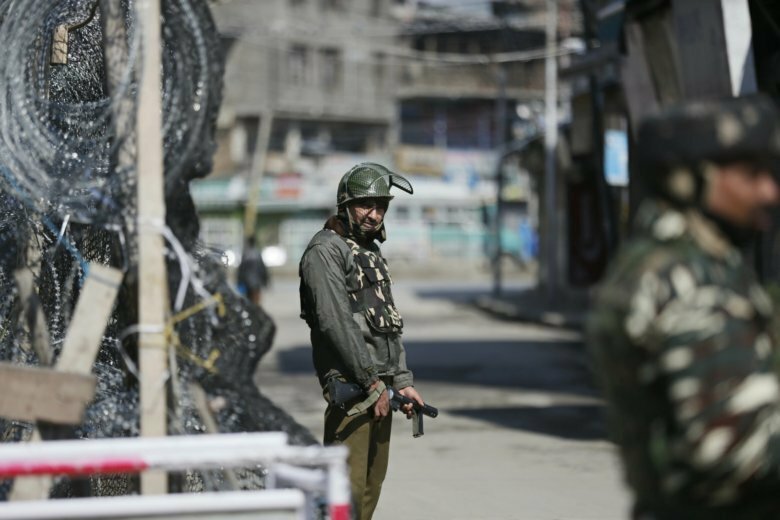 Among those arrested was Mufti Abdul Rauf, the brother of the group’s leader, Masood Azhar. Pakistan’s navy says it spotted and warned an Indian submarine approaching its territorial waters in the Arabian Sea not to attempt an incursion. The navy said in a statement Tuesday that the Indian submarine wasn’t targeted, “keeping in view Pakistan’s policy of peace” under which Islamabad wants to de-escalate tensions with New Delhi. A navy official says the warning was “communicated” to the submarine during Monday’s encounter. The submarine then moved away. He didn’t elaborate and spoke on condition of anonymity to talk to reporters.